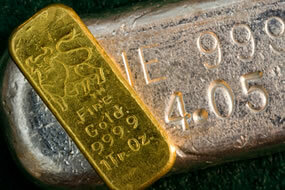 Precious metals futures declined Friday and most of them fell on the week. Palladium slipped from its record close but still soared by more than 4% from a week ago. Gold’s loss on the day brought it down for the week. Gold for February delivery declined $9.70, or 0.8%, to settle at $1,282.60 an ounce on the Comex division of the New York Mercantile Exchange. "With the news out yesterday that they expect the U.S. may drop the tariffs on China, we saw a continuation of the move up in equities, and as a result, safe havens such as gold are weaker," Reuters quoted David Meger, director of metals trading at High Ridge Futures. "Eighteen market professionals took part in the Wall Street survey. There were six votes each, or 33%, for all three categories — higher, lower and sideways/neutral. Meanwhile, 440 respondents took part in an online Main Street poll. A total of 255 voters, or 58%, called for gold to rise. Another 94, or 21%, predicted gold would fall. The remaining 91 voters, also 21%, see a sideways market." Elsewhere, silver for March delivery lost 13.7 cents, or 0.9%, to settle at $15.399 an ounce. Silver futures declined 1.6% this week after slipping 0.8% last week. The three weekly gains before than had lifted the metal up by a combined 7.9%. Silver is now 0.9% lower through the first three weeks of 2019. April platinum fell $10.20, or 1.3%, to $802.10 an ounce, for a 1.9% weekly loss. Palladium for March delivery dropped $13.10, or 1%, to $1,335.10 an ounce but rallied 4.4% on the week. On Thursday, palladium scored its second straight record settlement — its ninth record close in ten sessions. Both are higher on the year so far with gains of 0.2% for platinum and 11.5% for palladium. Gold declined $6.50, or 0.5%, to $1,284.20 an ounce. Silver fell 10.5 cents, or 0.7%, to $15.47 an ounce. Platinum declined $4, or 0.5%, to $801 an ounce. Palladium fell $17, or 1.2%, to $1,375 an ounce. In LBMA weekly results, prices for palladium jumped 3.6% while the others declined — 0.4% for gold, 1.3% for silver, and 2.6% for platinum. Gold bullion coins rose by 14,000 ounces this week after jumping by 67,000 ounces last week. Splits include 11,500 ounces in American Gold Eagles against 48,500 ounces previously and 2,500 ounces in American Gold Buffalos versus 18,500 ounces previously. American Silver Eagles advanced by 710,000 ounces this week after shooting up 2,846,000 ounces last week. American Platinum Eagles moved up by 2,800 ounces this week after climbing by 22,800 ounces last week.